in Apostolico A., Galil Z., ed., Combinatorial Algorithms on Words, NATO ASI Series Vol F12, Springer Verlag, Berlin (1985) 169-183. Academic Press, San Diego, CA, (2002), 573-633. Springer Verlag, Berlin, (2014), 197-212. Journal Association Literary and Linguistic Computing, 4 (1983) 34-38. Agur Z., Fraenkel A.S., Klein S.T. Discrete Mathematics 70 (1988) 295-302. 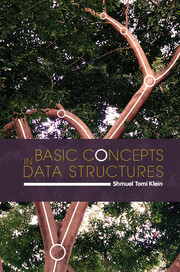 Klein S.T., Bookstein A., Deerwester S.
ACM Trans. on Information Systems 7 (1989) 230-245. Management en Organisatie van Automatiseringsmiddelen (1992) 82-91. ACM Trans. on Information Systems 8 (1990) 27-49. Information Processing & Management 26 (1990) 525-533. The Computer Journal 33 (1990) 296-307. The Fibonacci Quarterly 29 (1991) 124-131. Information Systems 16 (1991) 387-400. Information Processing & Management 28 (1992) 735-748. Bookstein A., Klein S.T., Ziff D.A. Information Processing & Management 28 (1992) 795-806. The Computer Journal 36 (1993) 668-678. Discrete Applied Mathematics 64 (1996) 31-55. Bookstein A., Klein S.T., Raita T.
ACM Trans. on Information Systems 15 (1997) 254-290. The Computer Journal 40 (1997) 117-126. Information Processing & Management 33 (1997) 745-760. Journal of the American Society for Information Science 49 (1998) 102-114. Journal of the American Society for Information Science 50 (1999) 845-854. Kluwer Journal of Information Retrieval 1(4) (2000) 315-328. Kluwer Journal of Information Retrieval 3(1) (2000) 7-23. The Computer Journal 46(5) (2003) 487-497. Discrete Applied Mathematics 146 (2) (2005) 180-191. Information Processing & Management 41(4) (2005) 829-841. Intern. J. of the Foundations of Computer Science 16 (2005) 1167-1178. Intern. J. of the Foundations of Computer Science 17(6) (2006) 1297-1306. Searching for a set of correlated patterns. Journal of Discrete Algorithms 5(1) (2007) 149-161.
International Journal of Modelling and Simulation 27(3) (2007) 218-225. Processing queries with metrical constraints in XML based IR systems. Journal of the American Society for Information Science and Technology 59(1) (2008) 86-97. Using alignment for multilingual text compression. Intern. J. of the Foundations of Computer Science 19(1) (2008) 89-101. Intern. J. of the Foundations of Computer Science 19(1) (2008) 137-146. Information Processing Letters 106(6) (2008) 232-237. Information Processing & Management 45 (2009) 298-311. Theoretical Computer Science 410 (2009) 3563-3571. The Computer Journal 53 (2010) 701-716. Information Processing & Management 47(5) (2011) 777-785. Mathematics in Computer Science 5 (2) (2011) 171-178. The Computer Journal 55 (11) (2012) 1347-1356. Information Processing Letters 113(17) (2013) 617-620. Mathematics in Computer Science 7(2) (2013) 137-153. Discrete Applied Mathematics 163 (2014) 307-315. Discrete Applied Mathematics 163 (2014) 326-333. Journal of Discrete Algorithms 12 (2014) 23-30. Discrete Applied Mathematics 212 (2016) 115-128. Discrete Applied Mathematics 212 (2016) 104-114. Theoretical Computer Science 638 (2016) 52-62.
to appear in Journal of Discrete Algorithms, (2017). Choueka Y., Klein S.T., Perl Y.
Proc. 8-th ACM-SIGIR Conf., Montreal (1985) 122-130. Choueka Y., Fraenkel A.S., Klein S.T., Segal E.
Proc. 9-th ACM-SIGIR Conf., Pisa (1986) 88-97. Proc. 10-th ACM-SIGIR Conf., New Orleans (1987) 306-315. Choueka Y., Fraenkel A.S., Klein S.T. Proc. 11-th ACM-SIGIR Conf., Grenoble (1988) 597-612. Proc. 12-th ACM-SIGIR Conf., Cambridge (1989) 160-167. Selected as one of the 6 best papers. Proc. 13-th ACM-SIGIR Conf., Brussels (1990) 327-342.
in Database and Expert Systems Applications, edited by A M. Tjoa, Springer Verlag, Vienna (1990) 1-7. Proc. RIAO-91 Conf., Barcelona, Spain (1991) 967-985. Proc. Data Compression Conference DCC-91, Snowbird, Utah (1991) 402-410. Proc. 14-th ACM-SIGIR Conf., Chicago (1991) 63-71. Proc. Data Compression Conference DCC-92, Snowbird, Utah (1992) 82-91. Bookstein A., Klein S.T., Raita T., Ravichandra Rao I.K., Patil M.D. Proc. Data Compression Conference DCC-93, Snowbird, Utah (1993) 70-78. Proc. 16-th ACM-SIGIR Conf., Pittsburgh, PA (1993) 80-87. Proc. Data Compression Conference DCC-94, Snowbird, Utah (1994) 116-125. Moffat A., Zobel J., Klein S.T. Proc. 6th Australasian Database Conference, Adelaide (1995) 162-171. Proc. 18-th ACM-SIGIR Conf., Seattle (1995) 39-47. Proc. 18-th ACM-SIGIR Conf., Seattle (1995) 319-327. Proc. Data Compression Conference DCC-97, Snowbird, Utah (1997) 367-376. Lecture Notes in Computer Science 1264, Springer Verlag, Berlin (1997) 65-75. Proc. Data Compression Conference DCC-2000, Snowbird, Utah (2000) 400-409. Proc. Data Compression Conference DCC-2000, Snowbird, Utah (2000) 383-392. Lecture Notes in Computer Science 1848 Springer Verlag, Berlin (2000) 210-221. Proc. Data Compression Conference DCC-2001, Snowbird, Utah (2001) 449-458. Lecture Notes in Computer Science 2089 Springer Verlag, Berlin (2001) 18-30. Lecture Notes in Computer Science 2089 Springer Verlag, Berlin (2001) 86-97. Proc. Data Compression Conference DCC-2002, Snowbird, Utah (2002) 142-151. Proc. Workshop on XML and Information Retrieval at SIGIR-02, Tampere (2002) 48-55. Proc. Workshop on Information Retrieval and OCR at SIGIR-02, Tampere (2002) 1-21. Proc. Data Compression Conference DCC-2003, Snowbird, Utah (2003) 433. Proc. Prague Stringology Conference PSC-2004, Prague, (2004) 114-123. Proc. SPIRE-2004, Padova, (2004) 68-69. Proc. Data Compression Conference DCC-2005, Snowbird, Utah (2005) 143-152. Proc. Prague Stringology Conference PSC-2005, Prague, (2005) 125-134. Proc. Prague Stringology Conference PSC-2006, Prague, (2006) 151-161. Proc. Prague Stringology Conference PSC-2006, Prague, (2006) 162-170. Proc. Prague Stringology Conference PSC-2006, Prague, (2006) 171-181. Proc. Data Compression Conference DCC-2007, Snowbird, Utah (2007) 113-122. Proc. Data Compression Conference DCC-2007, Snowbird, Utah (2007) 388. Lecture Notes in Computer Science 4783, Springer Verlag, Berlin (2007) 130-143. Proc. Data Compression Conference DCC-2008, Snowbird, Utah (2008) 472-481. Proc. Prague Stringology Conference PSC-2008, Prague, (2008) 46--53. Proc. SPIRE-2008, Melbourne, (2008) 39-50. Proc. Prague Stringology Conference PSC-2009, Prague, (2009) 55-64. Proc. Prague Stringology Conference PSC-2009, Prague, (2009) 80-89. Proc. Prague Stringology Conference PSC-2010, Prague, (2010) 116-126. Proc. Data Compression Conference DCC-2011, Snowbird, Utah (2011) 143-152. Proc. LATA'2011, Tarragona, (2011) 238-249. Proc. Prague Stringology Conference PSC-2011, Prague, (2011) 173-183. Proc. Prague Stringology Conference PSC-2012, Prague, (2012) 3-17. Proc. SPIRE-2013, Jerusalem, (2013) 186-196. Proc. Prague Stringology Conference PSC-2013, Prague, (2013) 128-141. Proc. Data Compression Conference DCC-2014, Snowbird, Utah (2014) 193-202. Proc. 4th Intern. Conf. on Advances in Info. Mining and Management IMMM-2014, Paris (2014) 64-69. Proc. Prague Stringology Conference PSC-2014, Prague, (2014) 96-109. Proc. Prague Stringology Conference PSC-2014, Prague, (2014) 139-147. Proc. Data Compression Conference DCC--2015, Snowbird, Utah (2015) 447. Proc. Prague Stringology Conference PSC-2015, Prague, (2015) 78-89. Proc. Prague Stringology Conference PSC-2015, Prague, (2015) 67-77. Proc. 8th Intern. Conf. on Knowledge Engineering and Ontology Development KEOD-15, Lisbon, (2015), Vol. 2, 307-315. Proc. Data Compression Conference DCC--2016, Snowbird, Utah (2016) 63-72. Proc. Data Compression Conference DCC--2016, Snowbird, Utah (2016) 611. Proc. Prague Stringology Conference PSC-2016, Prague, (2016) 1-5. Proc. Prague Stringology Conference PSC-2016, Prague, (2016) 63-70.
to appear in Proc. LATA-2017, Umea, Sweden, (2017). Tech. Report STAN-CS-82-933, Dept. of Computer Science, Stanford University, Sept 1982.
appeared as part of a paper by A. Bookstein: Information generation and retrieval, Proc. of the 4-th RIAO Conference, October 11--13, 1994, Rockefeller University, Vol II, 46-48. U.S. Patent 5,392,036, Feb. 21, 1995. U.S. Patent Application 20150143197, May 21, 2015.